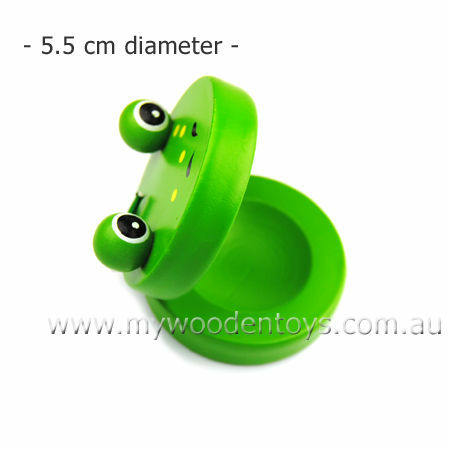 Castanet Wooden Frog is a lovely green musical instrument with froggy eyes and a big smile. This Frog Castanet looks like an opening and closing mouth when it is played. This instrument is a lot of fun, so get ready for some froggy music at your house. We like this because: "bright colours and a clever frog design."